All countries are in search for a stable energy source in order to cover all of their needs whether they were fossil, nuclear, renewable and electricity. Fossil sources include oil, coal and natural gas which are not renewable and for that reason, the search for a renewable, cheap and clean source is in progress. Natural gas is one of these energy sources that have the ability to be used in different kinds of energy industries. Although natural gas was first used by the native Americans, it was discovered and identified as an energy source in the 17th century in America, the first natural gas was dug at the beginning of the 19th century and was used as a source of light. The uses of natural gas were so limited due to transportation difficulties, in 1891, the first pipeline was constructed. This achievement led to the expansion in using natural gas for industrial needs. Lately, the weather change issue has drawn attention to the need to use an alternative clean energy source in order to control the pollution rate that has been rising since the beginning of the industrial revolution. Oil and coal are considered main causes of global warming problem and that’s why natural gas is most useful to use in factories and industrial facilities. Overall, natural gas is used for powering turbines, it has been used instead of coal and oil as it is more clean than the other sources. Nowadays, natural gas is considered to be a major source of lots of different activities and life matters such as cooking, heating, water heating, besides, factories count on it for most of their machines. Most of the main cars manufacturers have a line production for gas-powered cars such as Mercedes, Tesla, Volvo, General Motors, Fiat, Toyota and many others. As reported by the International Energy Agency, The United States is the biggest natural gas producer in the world with approximately 20% of the world production followed by Russia with a near percentage of 19.3%. Other producers such as Iran, Qatar, Canada, China and others have much less production volume between 2 to 6% of the world production. Natural gas is a secure alternative source of energy and that’s why it replaced coal as a main source of energy in the world. Investing in the energy sector especially in oil and gas is risky and requires a huge experience in order to know the related matters of investing in natural gas. The most popular natural gas companies are BHP Billiton Ltd, Antero Resources Corp, Cabot Oil & Gas Corp, BP and ENI with its recent grand discovery of Zohr Field in Egypt. If you are looking for trading natural gas, you can either start trading on the companies stock or natural gas online trading and CFDs. Make sure you make up a trading strategy before entering the market, use fundamental and technical analysis, be at the top of the book and update your information to the latest. 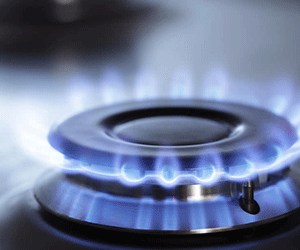 Want to know how to trade natural gas ? More over, the natural gas online trading brokers mentioned will help you to learn not only how to trade natural gas online trading and also other commodities and different kinds of assets. All the brokers` reviews you can find here are tested, verified and approved by our experts. That is why you can be sure that after having chosen any of natural gas online trading brokers from our list you will get an excellent trading experience. More over, you can easily find online trading videos together with other various education materials almost in every broker. We hope that natural gas online trading will become a new interesting and captivating activity that will bring you high payouts.